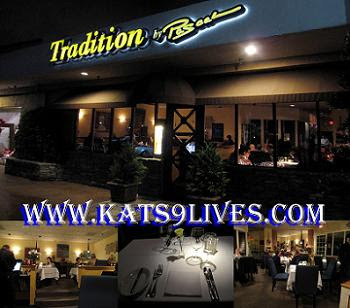 Kat's 9 Lives: Tradition By Pascal (Dine Newport Beach '10) : What A Let Down! Tradition By Pascal (Dine Newport Beach '10) : What A Let Down! Today, 1/22/10, was the beginning of Dine Newport Beach and for me... it is a sign that I should AVOID this poor selection. After being in SF for Dine SF and the start of Dine LA soon, this small selection is proving to be atrocious. For a while now, I have been wanting to try Tradition by Pascal. Some friends of mine have told me of their good experiences. After today, I question their tastes or if they were just lucky that night. Maybe it is the menu selection but I did hear a bunch of people rave about the food. This led me to question the diners. Were we even eating the same meal? Ironically, my friend Holly was having a worse time than me! lol There are many bad things that happened that I have to relay to my readers. The whole experience was just not good at all. I am put off in going to anymore NB restaurants. 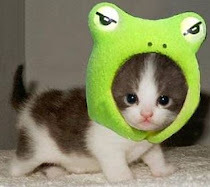 Tomorrow I am going to a lunch place for one more try before I write off this whole dine about. In the past the participating places have not wowed me. A lot of them offer a cheaper or the same prix-fixe so it really isn't that much of a deal to come out. Especially on this rainy and gloomy day. I am trying to not eat after 7pm and today I made an exception to celebrate the beginning of dine NB and to catch up with Holly. The company was good but everything else, a waste of my time and energy. I wish I stayed home! So the night didn't start off that bad. One of the male servers greeted me and seated me. He was pretty nice. A few people came by to ask what I would like to drink and I asked for water, which took a while to come. Then came our horrid server. The only female server in this place was just snooty, pretentious, and plain RUDE. This just began to get worse and worse with her attitude and negligence. Holly did opt to get a glass of wine, but apparently we don't look rich enough or old enough for attention. Might I say, please! We obviously can afford to eat here if we are young and you work on tip... so you should learn how to earn it! I hate places that judge you buy your age or how you are dressed. Little do they know that we have been to way better and classier restaurants than they probably will ever go. That aside, onto the boring food. They brought us a "sort of" amouse bouche. It is just bread and a diced Tomato topping. I was a bit hungry so I ate a few pieces before Holly arrived. The tomatoes were sweet and reminded me of a onion marmalade. They took a while to come back and take our order. Eventually our first course came out. Holly got the Escargot Cassoulet that was decent in taste, but she didn't have enough bread to enjoy it with. For me, I chose the Assorted Charcuterie. It comes with Saucisson, Duck Prosciutto, Homemade Country Pate, Pork Rillette, Cornichons, and Caramelized Onions. The portion was decent and the plate looked good. I liked the duck but I wished it was a little bit more like real prosciutto. Still it was tasty and the best selection on the plate. All the meats were good, not great but I enjoyed it. I wished they had a better mustard to accompany all this because it would have enhanced the flavor. A bit of time goes by as we sit there. We were completely ignored by our server. Keep in mind this is a tiny restaurant and it is not like we are hard to miss to get any service. In fact we were right in the center. Apparently they forgot to give us bread until now. I told Holly that it must be because we have to sit here and wait a long time until our main course comes... which I was right. The bread was stale and lame. Holly really disdained the bread and questioned if it was day old bread. The ironic part was they are right next door to their own Pascal Epicerie, which probably bakes the bread. Originally I would have liked to try them out but after tonight... heck no! Our main course finally came and I could smell the hint of truffles so I was eagerly anticipating this dish. We both decided to get the Roasted Quail with Truffle and Chicken Sausage Stuffing, It sounded very good on paper... that was about it. I wished one of us got another dish. The brussel sprout was a bit on the bland side and it didn't help that it was atop celery puree. Sadly, the brussel sprout was Holly's favorite part about this dish. I agree with her that a vegetable being the best part of the dish is sad! The sausage was interesting, it had tons of pistachios inside. The quail and sausage together didn't quite work. I hate the fact that I was picking bones out of my mouth because there were tiny bones throughout. The sauce wasn't anything special or flavorful. Beside the initial whiff of truffle there was absolutely not truffle taste. This dish left me very unsatisfied. During our main course Chef Pascal came out and did some greeting. We noted that he totally blew past our table. Um ok... Holly was not too pleased about this but I told her that I'd rather he didn't come by because I don't want to lie about the food. Besides, I don't care to meet him. Last we chose the Cheese Plate. Before coming here I was really excited that they offered a cheese plate for dessert but after the whole dining experience I had really low expectations by now. They took some time to bring us out our cheese plates. We had totally different sized cheeses. My portion was smaller. They should make more effort in presentation here if they want to be fine dining. The selection was not too bad. I enjoyed the honey because it seemed to have tiny bits of honeycomb, which I really like. Holly tried to get the server back to say what the 3 cheeses were but she totally blew past us and when she did come back it was rushed and you couldn't really understand her. I really didn't care by this point. I was just ready to go. All in all, I definitely would NOT recommend this place. Everyone else was not bad but our server just made the mediocre food taste even more mediocre. Holly and I discussed that if service was impeccable then the food might still be passable. We would have definitely enjoyed it more. Alas the whole experience was a let down. I had been meaning to try out a bunch of Pascal's places, but after this. Nah! Not worth the time and effort. It is not like the food is great or anything. I have not been feeling well since SF and I was hoping for some good food tonight so I forced myself to go out in this horrid rain. What a MISTAKE! I regret going here. It was a waste of my time, money, and stomach. I am seriously reconsidering trying anymore places for Dine Newport Beach. Save your money and wait for Dine LA. At least there are more choices and participants. As many of you know I am super behind and the reason I am doing this immediate post is to warn fellow foodies/diners. Don't waste your time here if you are a serious foodie. that WAS a letdown!! based on what everyone tells me about Pascal and how he's a very personable chef, I would've hoped to receive an email from the restaurant...that service was just soo snotty! i still can't stop laughing about the "day old" bread...i just read some other reviews complaining about the bread, so maybe it's not a one-off occurence! well, good hanging out w/ you though!! Enjoy your posts tremendously. Something is wrong with the date on your blog. 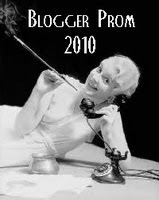 Though you are writing about your dinning experiences of 2010, date of blog shown as July of 2009. We had a good dining experience last year. Service was a bit slow. I think we even had the same female server. She wasn't friendly and didn't smile at all. But other than that she wasn't too bad. We enjoyed the food. But it seemed like this year they didn't do such a good job. Tomorrow is our 4 year anniversary and we had reservation at Tradition by Pascal. I am canceling it right after reading your review. I'm sorry you had a bad experience there. Sorry to hear about your bad experience at TBP. I've heard about the Pascal chain's and want to try them but after reading this post, I'll just skip them for the bad service you got. But I have to defend the restaurant / server a little because they pegged you guys as being "poor". Your mistake was when you ordered H2O. "A few people came by to ask what I would like to drink and I asked for water, which took a while to come. Then came our horrid server"
When several people come by your table it is a trick to get you to order something besides free H2O. So right there that was a FAIL from the get-go. If you go into any "high class" restaurant and order H2O, they are gonna think you're poor and they aren't gonna waste time on you (cuz they think y'all can't afford a tip either). I like restaurants that just bring out free water.